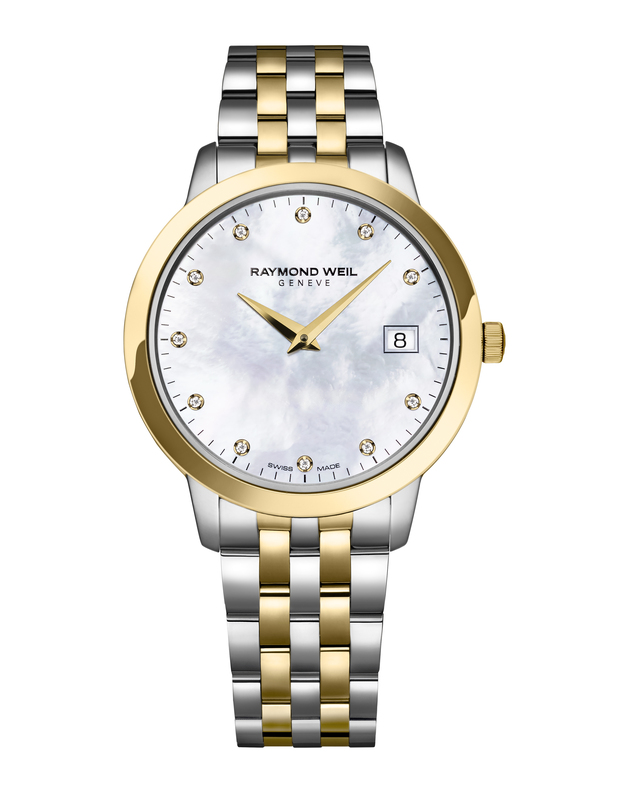 Geneva based Swiss Watch brand Raymond Weil have partnered with Internationally renowned classic violinist Nicola Benedetti to release their latest models in the toccata collection. The family business has closely associated with the beauty of music for the 35 odd years it has been in watchmaking and design. As well as ambassadors associated with the music industry, it’s also reflected in the names of their collections ; Toccata, Tango, Maestro, Nabucco, Parsifal etc. A sophisticated line extension to the toccata collection released last year, the new 34mm size is a more generous version of the 29mm, satisfying the continued demand for a larger dial on the wrist. What I love about the latest release though, is this piece. Brown and rose/pink gold just work so well together on the wrist. 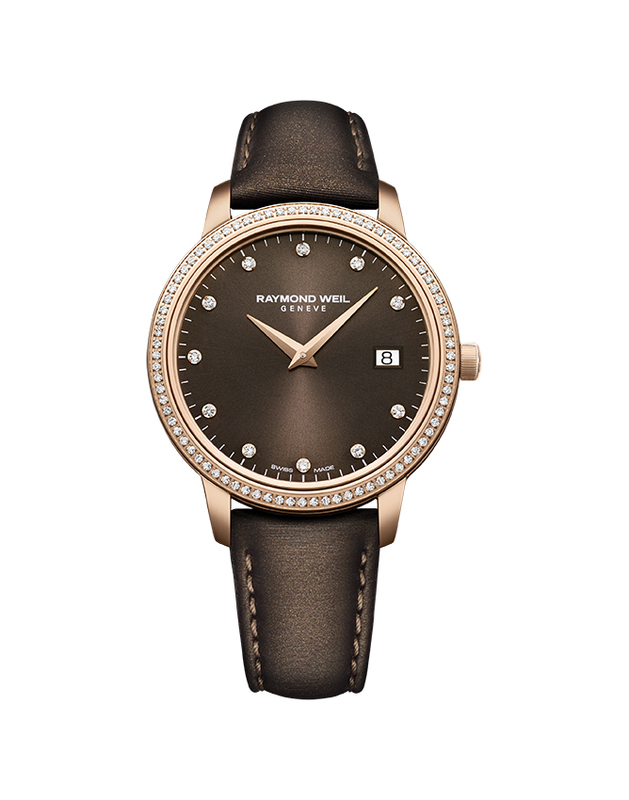 This version has a satin strap and includes diamond indexes and bezel. There’ve continued the date window at the 3 which really is a little chuncky for this more elegant style but I think it’s outweighed by the rich brown dial and the curved sapphire crystal. Also available on a steel bracelet or steel and yellow gold. The gold pieces are PVD plated and the movement is a quartz one. 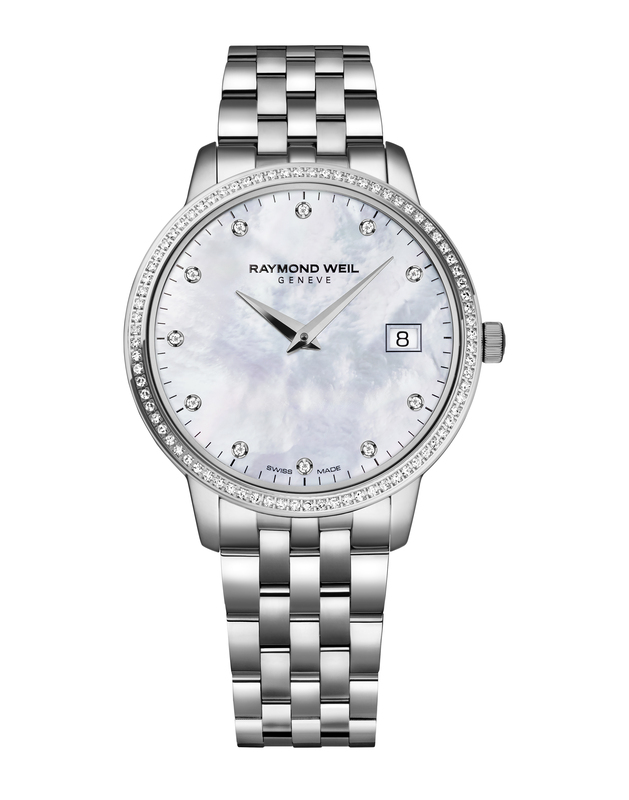 With mother of pearl dial options with diamond indexes, it’s a beautiful collection for someone after an elegant timepiece, without the price point associated with a fine jewellery brand.